The labels below do not contain a hechsher. However, it is highly unlikely that any Beth Din would rule that the produce was not kosher. Some products cannot display a hechsher because their ingredients and production methods make kosher certification impossible. Others such as those below do not display a hechsher because it has not been applied for. 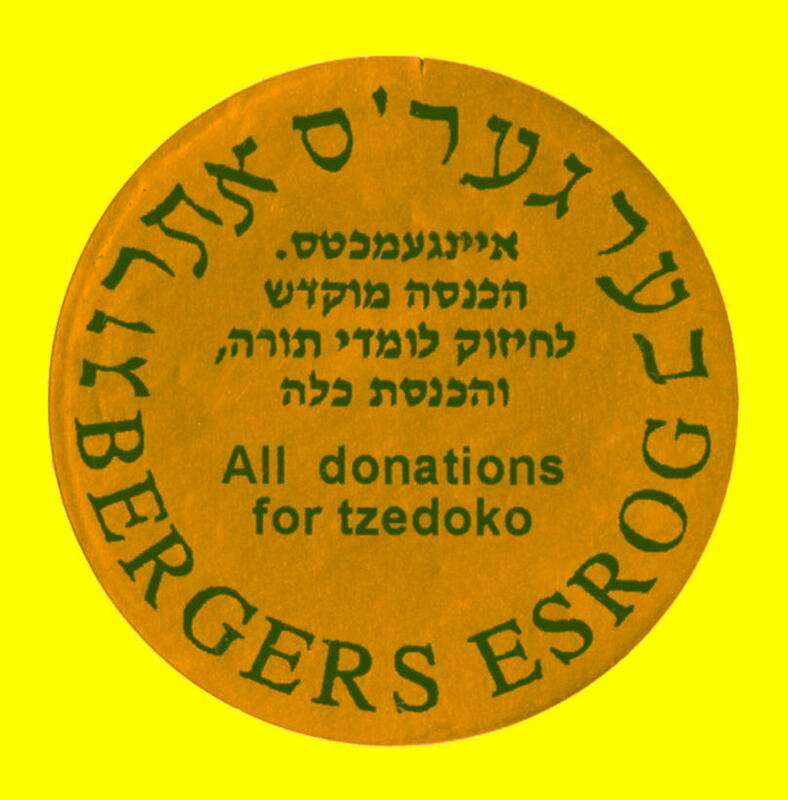 For example, the etrog conserve represented by № 285, below, was probably made by the Chareidi proprietors of the grocery shop where it was offered for sale. The proprietors, recognising the needs of their customers, would have ensured that the level of kashrut was equivalent to that achieved by independent supervision. The high reputation of the vendor in the community thus guarantees the kashrut of the food. A delicious conserve made from etrogim. Another of Berger's delicious etrog conserves.